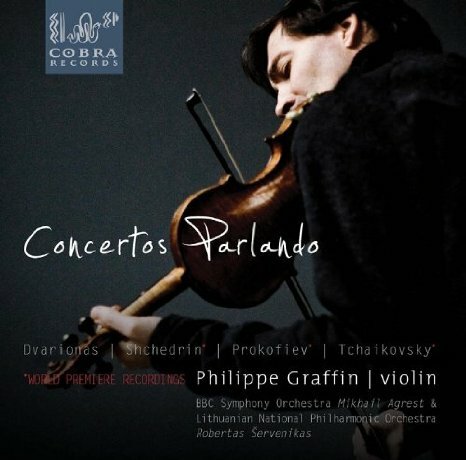 today s quintessential French violinist by the London Times, is at the creative heart of a new release of Russian repertoire titled Concertos Parlando, or concertos with a story, the first in a series of strikingly individual and fascinating projects for Cobra Records. Graffin s extensive and successful discography began with a recording with Yehudi Menuhin and the Royal Philharmonic Orchestra, and includes many world premieres for a number of independent labels. His idea to record the complete Saint-Saëns concertos launched Hyperion s Romantic Violin series, and all of his releases have been exceptionally praised.